IT'S NOT OK TO RUN AWAY! 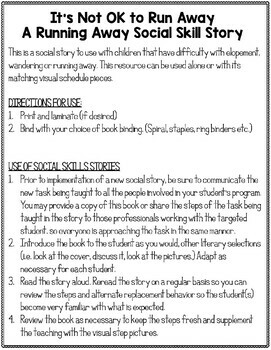 A social story for students with Autism. Its NOT Ok to Run Away ! 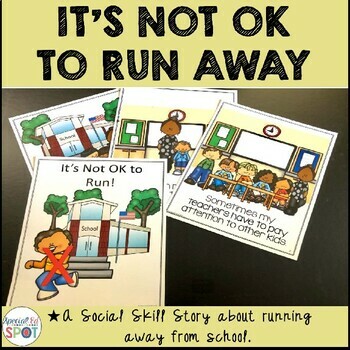 - a social story and visuals to use with children running away from school and helping them learn appropriate replacement behaviors. 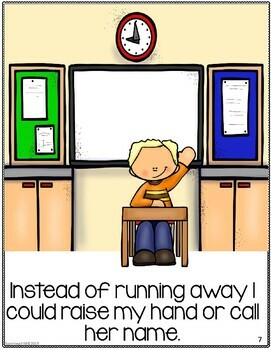 The story along with visual cue cards give appropriate replacement behaviors when students attempt to run from the school setting.